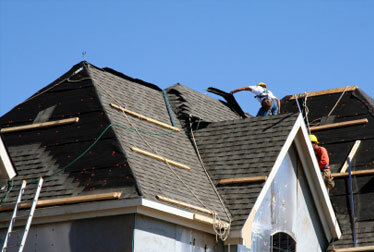 A quality roof is an essential part of every home. Not only will your roof keep out bad weather and extreme temperatures, it should also be low-maintenance and energy efficient. Imagine a roof that keeps heating and cooling costs down, while still adding an attractive custom element to the appearance of your home. With a superior ridge and soffit roof vent system, you can have the best of both worlds. Southland Custom Homes is proud to offer high quality ridge and soffit roofing systems to make your home more environmentally friendly. Our expert house builders are ready to give you the home of your dreams that will also save energy! We can build you a custom home that is as efficient as it is attractive. Our team of professionals will provide the very best customer service to exceed your expectations and make the home building experience an easy and enjoyable one. Ventilation is a significant element in every home. Roof venting systems provide protection for your home from extra moisture and help support the overall structure. Lots of things can contribute to moisture buildup inside the home. Cooking and bathing are just two examples of everyday activities that release water vapor into the air. Without a proper ventilation system, this water vapor can damage the structure of your home as well as destroy insulation and cause mold and mildew. A quality ventilation system helps to remove the extra moisture to keep your home dry and comfortable. Your ventilation system will help protect your home from potential damage and unnecessary repairs. It will also save you money! A home with a good roof vent system will have better climate-control which allows your home to be more energy efficient. With less moisture in the air, you will save on heating and cooling costs. A well controlled climate means that you can live comfortably and efficiently. Ridge and soffit venting systems keep the air well-ventilated and prevent moisture from building up in your home. These systems feature a continuous, weather-shielded opening at the peak of your roof. It also includes screened openings along the eaves of the house. The combination of these two pieces promotes air flow under the roof and allows air to exit through the ridge vents. As the air leaves your home, it also removes extra moisture that could potentially cause damage to the structure of your home and roofing system. Southland Custom Homes is dedicated to building you the best home possible to fit your lifestyle. Our ridge and soffit roof vent systems are just one example of our dedication to building more energy efficient homes. We offer a large selection of floorplans with endless options for customization. Our professional house builders are experts in using green materials to build you a more environmentally friendly home. If you would like to know more about our custom options and our green building materials, call Southland Custom Homes at 1-866-56-BUILD or visit our website at www.southlandcustomhomes.com.